What happened on the cosmetics market in 2018? What are the new consumer behaviours? Which distribution sectors are on the rise? All these questions are crucial for professionals in the cosmetics industry. 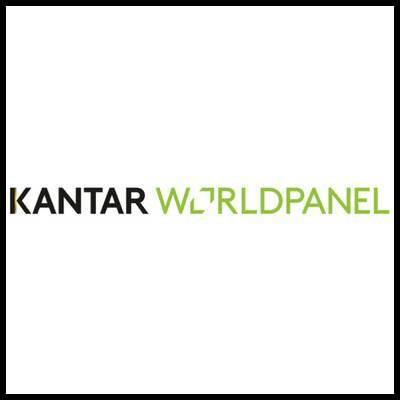 The consulting agency, Kantar Worldpanel, represented by Anaïs Dupuy, came to provide answers at a meeting organised by the CEW-France on 14 February 2018. The consulting agency has set up a representative panel of 35,000 individuals, men and women, aged 15 and over, who continuously report all their hygiene and beauty purchases, regardless of the distribution channel. Be careful, this panel presents some biases, in particular the fact that purchases made during holidays or by tourists are not recorded. In addition, there is the Kantar E-Kommerce panel, composed of 12,000 individuals over the age of 18 who report their purchases made on the Internet every week. “For several years, there has been a decline in the importance of hygiene and beauty in consumer spending,” said Anaïs Dupuy. This slight decline is confirmed. The study shows that consumers have been buying cosmetics less regularly for three consecutive years (-0.5 acts of purchase). “0.5 acts doesn’t seem to be much, but if we extrapolate this figure to the entire population, immediately, the volume increases and becomes much more representative”, added expert Kantar. At the same time, it appears that the beauty routine of the French is becoming simpler from year to year. In December 2013, it was estimated that each individual had 51.4 beauty and hygiene opportunities per week (one opportunity refers to all the uses of skin care products that can be had, such as putting cream on their hands). By December 2018, this figure had risen to 45.2 times per week. Macro trends may also be related to declining product use. For example, hipster beards have done a lot of damage to the shaving industry. Finally, the advent of mobile applications for decrypting INCI lists of cosmetics is a parameter to be taken into account in simplifying French beauty routines. If the cosmetics industry is a bit moody, it is because the younger generation tends to ignore it. “The hygiene and beauty market is split in two. Today, people under 50 are reducing their cosmetic purchases, while people over 50 tend to increase their purchases. The market is really evolving at two speeds. It is necessary to re-engage these younger generations, since we know that as we get older, we tend to keep the same habits. If the use of skin care products is not anchored in the daily actions of the youngest, it is unlikely to change in the future. This is a real challenge for professionals in the sector,” said Anaïs Dupuy. Finally, if the hygiene and beauty market suffered a little in 2018, it is because of certain categories that are in decline. For several years, the styling and nail products markets have been in decline. Necessarily, this has an impact on the entire market. When it comes to purchasing hygiene and beauty, there are no rules. This sector is multi-channel. The French frequent more and more different circuits to do their beauty shopping, In 2018, 3.3 circuits were frequented, compared to 3.1 in 2014. As a result, consumers are increasingly chatting. Hypermarkets and supermarkets are still in the lead with 40.7% market share, but these spaces are in decline compared to previous years (42.7 in 2016, for example). This drop benefits own shops (5% market share), discount stores (1.7%) and specialised e-commerce sites (5.5%). The Internet has indeed revolutionized purchasing practices. Today, nearly one in three French people shop online for health and beauty products, or 49.5 million people over the age of 18, for an annual budget of around €100. this circuit is thriving because over the past year, it has recruited 1.3 million additional buyers. The weight of the Internet is therefore no longer to be confirmed. The figures released by Kantar should encourage beauty professionals to consolidate their online presence. At the same time, the survey highlights the urgent need for brands to re-engage the younger generation, who are gradually abandoning cosmetics. A real challenge for the years to come…. Nov. 20, 2018 Minimalist cosmetics: what's new in the United States and South Korea? Oct. 30, 2018 More unique fragrances thanks to AI?